Liverpool host Swansea City in Saturday’s early kick-off as they look to keep pace with league leaders Chelsea. Jurgen Klopp’s side were held to a 1-1 draw at Old Trafford last weekend. It saw them fall further adrift of the top spot, with the deficit now standing at seven points. The Reds need to get to work at closing that gap as soon as possible if they have any hope of lifting the Premier League title this term. Swansea are in a battle at the opposite end of the table. The Swans sit rock-bottom of the league, with newly-appointed manager Paul Clement having a fight on his hands to maintain his side’s Premier League status. The BBC summarised all the latest team news ahead of Saturday’s game. They believe that Liverpool are still unsure about Joel Matip’s eligibility to play in wake of his decision not to represent Cameroon at the African Cup of Nation’s. He may be left out, but there are no other notable absentees. 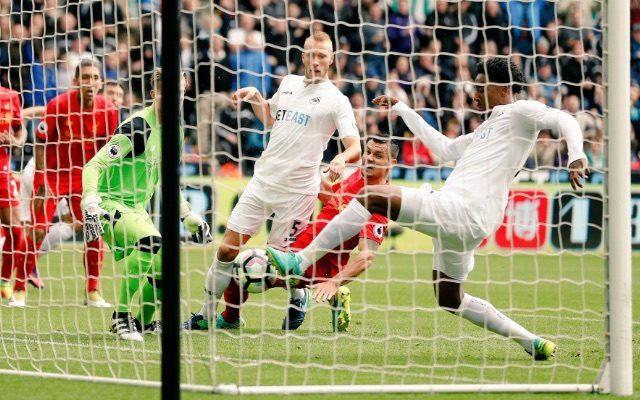 As per the BBC, Luciano Narsingh is unlikely to make his Swansea debut at Anfield as he is suffering from a calf problem.